Somehow, against the odds, it all came together. WebFORCE went from funded project to new product line, ready for launch in just 76 days. Twenty years ago today, January 26, 1995, the two hottest companies in Silicon Valley at the time, Silicon Graphics (SGI) and Netscape, came together to launch the first turnkey solution for web authoring and web serving — the very first products with “web” in their name. My instincts on timing proved correct. By launching in January, we caught all of our competitors totally off guard. In fact, it would turn out to be many months before Sun Microsystems, Apple, and Microsoft would begin to address the hot growth market of the World Wide Web. That secured a significant first-mover advantage for us, and made SGI the second hottest product brand in all of the web (behind our white hot new partner, Netscape). And we didn’t just win from great timing. We hit the market “guns a blazing” with the unbeatable combination of killer product, a high-profile press event, an historic demo, a big budget ad campaign, and awesome collateral. The WebMagic team burned the midnight oil and somehow managed to pull off the miracle of creating the first WYSIWYG HTML editor in under eight weeks. And under the technical leadership of David “Ciemo” Ciemiewicz and the product management leadership of Rob Lewis (one of my first hires), the WebFORCE software bundle expanded to include not just WebMagic and the Netscape server software, but many other essential tools for creating “media-rich web content”. Among those were a video tool called MovieMaker (with support for MPEG-1, QuickTime, and Cinepack) and an audio tool called SoundEditor (with support for AIFF, Sun/NeXT, and MS RIFF WAVE). SGI’s PR team, one of the best in the industry, pulled out all the stops. This news was clearly big enough that there was no need for pre-briefing. Instead, we would host an invite-only press event on our campus in Mountain View. In addition to the newsworthiness of an SGI product launch, we also had the big draw of the announcement of a partnership with Netscape, with Marc Andreessen agreeing to speak and do interviews. I think we drew well over a dozen technology and business reporters. Alas, very little of the coverage we got is findable today online. Carl Furry, who was the lead from the PR team for this launch, did find this scanned piece with ComputerWorld’s coverage of the news while we compared our memories in recent days. Of course, no SGI press event would be complete without a 3D demo. Fortunately, weeks earlier, Rikk Carey, a charismatic director of engineering from the Visual Magic Division, had reached out to get me excited about a futuristic project his team had just gotten involved with, something called Virtual Reality Modeling Language (“VRML” for short). Though it was a very early-stage, grass-roots, open standard effort, I immediately saw it as an important missing piece of the WebFORCE puzzle. With the promise of bringing 3D to the web, VRML was a natural technology for SGI, the pioneer and leader in 3D computing, to embrace. The WebFORCE launch was the first day that VRML was demoed to the press. I’m not sure what we actually demoed, but it would have been using our Open Inventor toolkit. And even though neither Marc Andreessen nor I now remember it, the ComputerWorld article linked to above says that in addition to our demo, Marc announced that Netscape Navigator 1.1 would “support transmission of three-dimensional graphics”. 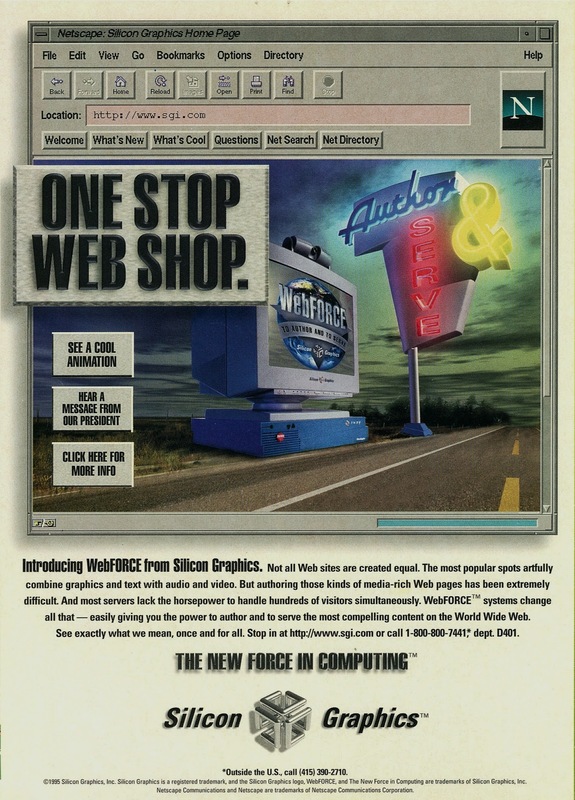 Two elements that I really love about “One Stop Web Shop” are that the primary visual is content framed within a web browser, and that the team really made this an SGI-quality ad, with multiple nods to 3D. The secondary launch ad (shown at the top of this post) is in some ways even more remarkable. Using the web to actual sell stuff was unheard of at this point, with Amazon’s launch six months away. So for us to introduce WebFORCE as “the biggest revolution in commerce since the 800 number” was a pretty prescient claim! Readers of the Wall Street Journal got to see a full-page (but black & white) version of the ad within days of the announcement. Over the first six months of 1995, we invested nearly $1 million to place these ads in the leading technology, business, and creative arts/new media publications. That, together with an amped up “Powered by Silicon Graphics” effort, made SGI appear to have already won the market, even before our first $10 million in sales. Amongst the earliest of hires to the WebFORCE team was Kris Hagerman, who like so many from the team would go on to found and lead other startups, including BigBook, the web’s first Yellow Pages, and Affinia, a Sequoia-backed e-commerce and digital advertising pioneer. If I were the “CEO” of WebFORCE (in practice, not actual title), Kris was my “COO”. Many of you may have seen those digitized VHS tapes from the early days of the web. Well, here’s one more! 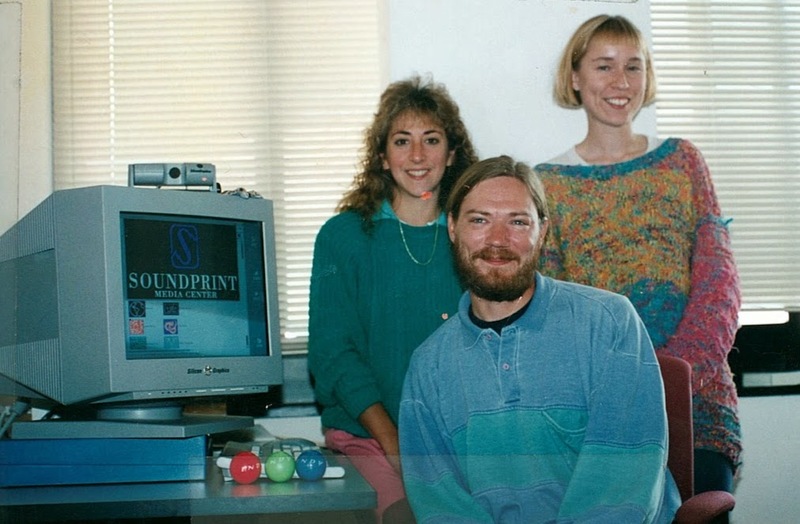 In early 1995, SGI had a 1,000-person global direct sales force. They were really awesome at selling high-performance workstations, and were becoming more comfortable selling high-performance servers and super-computers. But they did not have any experience selling software or turnkey hardware/software bundles. And, like all salespeople everywhere, they had no experience selling web authoring and serving solutions. So, to jump start sales, we created a 10 minute sales training tape, starring me, Rob Lewis and Ciemo, along with Steffen Low, product manager for the WebFORCE servers, and Gene Trent, applied engineering for the server side of the line. In it, we explained why the web was a hot new opportunity perfectly suited to SGI (in other words, why a sales person should focus on it, or in other, other words: $). We showcased key features and key differentiators, and, given the audience, we opened and closed the narrative with references to 3D. Like any tape from the mid-’90’s, there’s a lot to cringe at here, whether it’s the less-than-professional readings from teleprompter or the cheesy music throughout. That said, this tape was instrumental in selling tens of millions of dollars worth of workstations and servers. It turns out that though this was clearly made with the sales team as the intended audience, many sales offices would actually show this directly to prospects. But with each successive viewing, the sellers got more and more comfortable with how to pitch the WebFORCE line. And that is how we launched WebFORCE! Getting the product ready in time was only half of the challenge for our January launch. The other half was getting all of the marketing items done on deadline. And in 1995, that meant dealing with multi-week workflows to create and purchase print advertising and to design and produce print collateral and video sales tools. And to really get started on any of those projects, it was vitally important to have locked down the “identity” of the product: its name, its tagline and fundamental positioning, and its logo or visual identity. As those of you who have been following this series know, the project was pitched to the leadership of SGI with the name “Spider” and the tagline “Now making a web comes naturally”. In the weeks that followed, that positioning started to feel weak to me. While it had the benefit of obvious analogy, it lacked any sense of the strategic land grab that I intended for the project. Also it seemed more appropriate for a singular product, rather than a product line that spanned multiple configurations of workstations and servers. The search for a more appropriate identity had a very clear center of gravity; the organizing principle of the entire effort was that the web was the most important thing in all of computing. 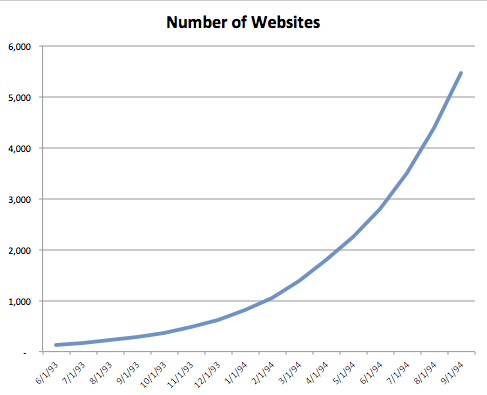 The web was the Big Wave that everyone needed to pay attention to. And yet, there was not a single product that had “web” in its name at that time. So, each day in late November and the first week of December, I thought up different web-based names. On the morning of Tuesday, December 6, while showering before work, the winning name came to me, “WebFORCE”. I was instantly 100% sold. Within 24 hours, all documents relating to the project bore the new name. WebFORCE was my first real product launch, so I was very much learning on the job. I didn’t have any experience choosing a logo, but I knew what I liked and what I didn’t. These might have been fine designs, but none of them was close to what I needed. The problem, though I wasn’t consciously aware of it, was that I didn’t really need an actual “logo”. I was launching a product line, not a new company – and SGI already had an awesome 3D-based logo. What I needed was some sort of “visual identity” that could anchor the marketing. And getting to that would take a surprising route. 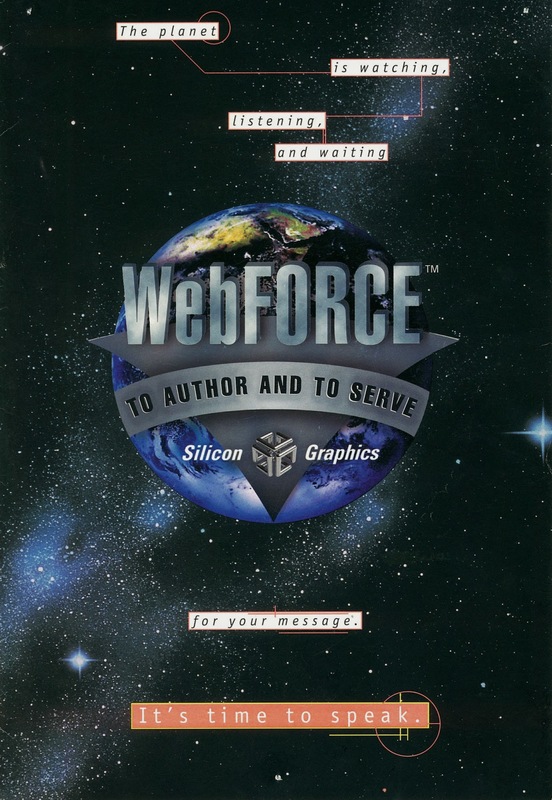 “To author and to serve” fit WebFORCE so well, that within days it became the official tagline for the product line. And it would also serve as key inspiration for the design of the product line’s ultimate visual identity – from a team that wasn’t even tasked with designing it! 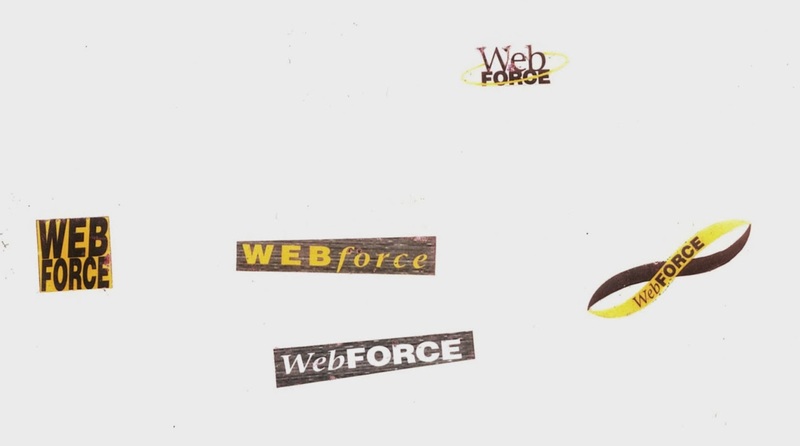 A major component of the WebFORCE launch was an aggressive million dollar print advertising campaign. As soon as the project was funded, I started frequent meetings with the ad agency that SGI had recently begun working with, Poppe Tyson. It certainly lacked the simplicity of a traditional corporate logo, but this was a visual identity worthy of the first “web” brand. It had the color and depth one would expect of Silicon Graphics (including its embrace of purple). And it had sufficient breadth and scale to encompass the SGI logo as a supporting (and central) element. In short, it seemed perfect then – and it holds up well 20 years later. Having found a fortunate and just-in-time path forward on the authoring side of the WebFORCE1 project, it was time to focus on delivering the simpler, but equally vital, other half of the value proposition: web serving. 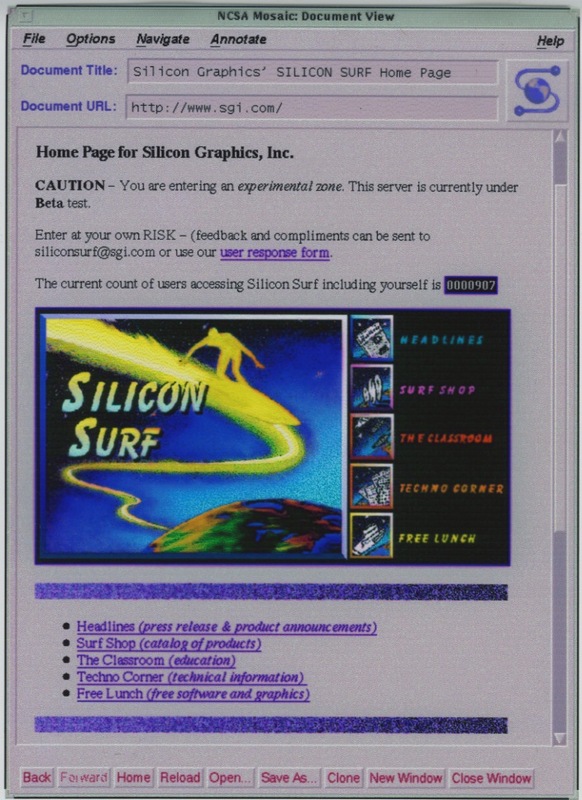 By the way, when finding the screenshot of Silicon Surf below, I recently learned that it was the launch of SGI’s website that got the competitive juices flowing over at our rival, Sun Microsystems, leading to them to create the Sun.com website! In the Fall of 1994, the team behind Silicon Surf, led by Kip Parent, had decided to do another thing no computer company had yet done – pre-install a web browser on every desktop, in order to make the web central to the support experience. So when I stepped in to negotiate on behalf of the WebFORCE effort, a single and simple OEM deal for the browser morphed into a two-part deal, with browsers for all SGI workstations and server software just for WebFORCE-branded configurations of workstations and servers. Despite that complication, I was still expecting a quick and easy negotiation. After all, having the hottest company in Silicon Valley throw its weight aggressively behind the web, in general, and behind Netscape’s server and browser, in particular, would be a big win for Netscape. And given that our two companies were both founded by Jim Clark and that SGI was Netscape’s primary development and serving platform at the time, we seemed the most natural of partners. Why, we were practically family! So, why shouldn’t we be able to put this deal together in just a few weeks? (And a few weeks was, indeed, all that I had.) The launch date was locked in: January 25. That meant I needed to close the Netscape deal by the end of December, or at the very least, the first week of January, in order to nail down all of the marketing materials. My counterpart in the negotiation was Marc Matoza, who had recently joined Netscape as their first sales rep. I had naively assumed we would do a quick and friendly deal. In reality, the tone was far from “familial”. Making matters worse, Marc did not seem to share my sense of urgency. Quite the contrary, he seemed to view my deadline focus as a source of negotiating leverage. As the holidays approached, I knew I needed to take a different path. In the technology business, it’s hard to understate the importance of right timing. I was truly fortunate not just to get into Stanford business school, but also to time it just right as a member of the class of ’93. As a result, I ended up riding out the recession in school and then entering Silicon Valley just as the web wave was beginning to swell. Many of the friendships I made at the GSB (in my class and in the class of ’94) formed the basis of an incredible network, touching almost every part of the emerging web industry. And one of those relationships in particular would come to play a pivotal role in getting me out of my negotiation quagmire. There’s the people you know from classrooms and the people you know from parties. And then there’s people you know from playing hockey (or other sports). My fondest memories of Greg Sands, GSB class of ’94, are of getting schooled by him in how to translate my decent ice skating skills into playing rollerblade hockey. Even in a friendly game, hockey is pretty physical, but you don’t really want to check your business school buddies and send them tumbling to the blacktop. But Greg is a really great skater, having played on Harvard’s ice hockey team as an undergrad. So, I felt comfortable skating aggressively around him, even lightly checking him, knowing that it was way more likely that I would end up flat on my back than that he would. In short, we ended up getting to know, like, and really trust each other. Greg and I met for coffee at Café Verona2 in downtown Palo Alto to talk it out. We didn’t do any actual negotiation. I shared my frustrations and my goals. And perhaps most important of all, I shared with Greg my “BATNA”. (That’s a term we both would have learned at the GSB in the negotiations class. It stands for “best alternative to a negotiated agreement”.) Although I was truly keen to bundle Netscape’s server software with WebFORCE, if for some reason we were unable to finalize a deal in time, I could live without it. In that case, we would emphasize our Web Magic authoring software and position the product line as Netscape-ready or add-your-own-server-software. This wasn’t a threat or posturing; I was just candidly sharing my situation. Special or not, I got my deal, and we were now on track to launch a kickass product on January 25, 1995, now about 40 days away! 1Though we had pitched the project to TJ as “Spider,” that was never really intended as the launch name. 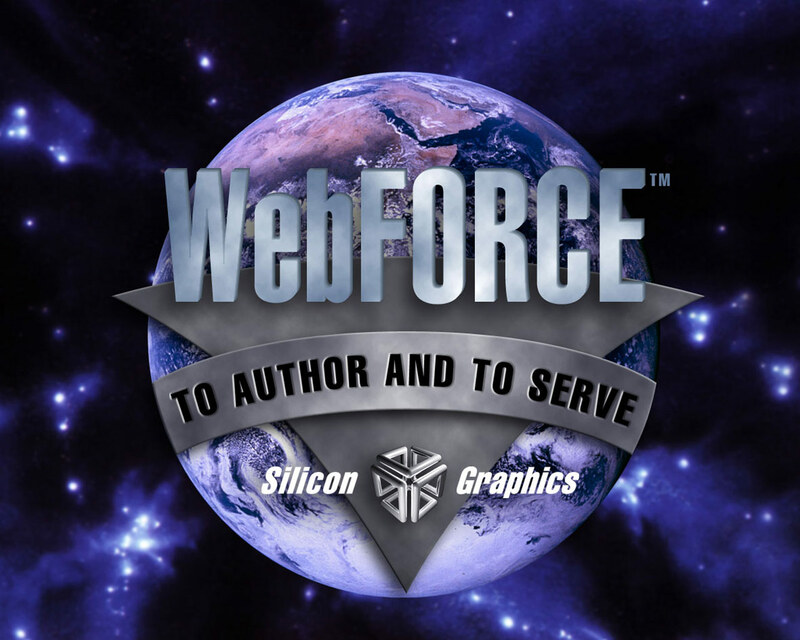 About two weeks after funding, I came up with the real name and tagline in the shower before work: “WebFORCE: To Author and To Serve”. 2It is now long since closed, but Caffe Verona played a role in Silicon Valley history – it was where Marc Andreessen first met Jim Clark. 3Jim resigned as Chairman of SGI, but only after years of strategic disagreement with our CEO, Ed McCracken, and a rising sense of being shut out of key decisions. The first mainstream and well-remembered “WYSIWYG”1 HTML editor, FrontPage, was released in October 1995. Less than three months later, the small startup that created it, Vermeer Technologies, was acquired by Microsoft for a whopping $133 million! FrontPage would become a key weapon for Microsoft in its ruthless, monopolistic “browser war” against Netscape. I’ll start the story from hours after I had secured $2.5 million in funding from Tom “TJ” Jermoluk, SGI’s President and COO, based on my pitch/commitment to launch a product line for web authoring and web serving by the end of January 1995. That deadline was less than 80 days away (a period that would include Thanksgiving, Christmas, and New Year’s!). And that means that these events took place in the single craziest time of my career. It was such a blur, that I’m sure I’ll miss some key facts and miss-remember some details. With hope, others involved in the story will keep me honest. I think it was in the afternoon of the day of the funding that Way Ting sought me out. He was the Vice President and General Manager of the Visual Magic Division (VMD) that created the desktop software environment and a bunch of tools to showcase the differentiation of our powerful workstations. And after the amazing events of the morning, he was keen to sign up for a critical element of the plan. “We want to create that SGI-quality authoring tool you described,” he said. “That’s great news,” I said. Way knew a heck of a lot more about software development than I did, but I had a deep conviction that timing was vital in this rapidly emerging web market. I feared that Sun or Apple were about to beat us to market with web authoring/serving solutions, and I strongly preferred to launch first with an imperfect product than to launch second or third with everything on my wishlist. To my surprise, within a few days, he reached out to me again, asking if I’d accompany him to a meeting in Palo Alto with a company that had a possible solution to our problem. The company was Enterprise Integration Technologies (EIT), and although I didn’t know it at the time, it happened to be the startup that Marc Andreessen had moved to California for, and the one from which Jim Clark recruited him just months later to co-found what would become Netscape. Our host for the meeting was EIT’s founder and CEO, Marty Tenenbaum, a more-than-a-little smart guy, with multiple degrees from M.I.T. and a PhD from Stanford. EIT was a pioneer in e-commerce, having conducted the very first Internet transaction in 1992. Therefore, it was not a surprise that nearly every desk had an SGI workstation on it. They were the real deal. I have no idea how Way had managed to make this meeting happen, but it was pretty magical. What Marty showed us that sunny afternoon looked like exactly what I had been advocating for – an SGI-native web authoring system, with WYSIWYG HTML coding and an intuitive, drag-and-drop user interface. It looked pretty polished. I had never heard of that, and I’m guessing Way hadn’t either. Marty went on to explain that it was an interactive, object-oriented user interface language that EIT had developed. As we drove back from the meeting, it became clear that this was hardly an ideal path for achieving our goal. I resolved to pursue my Plan B with fervor – getting SoftQuad to port their less-than-ideal alternative HTML editor, HoTMetaL Pro, as the candidate for bundling with our web workstations. It wasn’t WYSWYG, nor was it going exploit the differentiation of our OS and tools, but it could allow us to check-the-box for “HTML editor”. But then, to my surprise, Way reached out to me a few days later with a proposal for another outing, this time to Sunnyvale, to the headquarters of Amdahl. 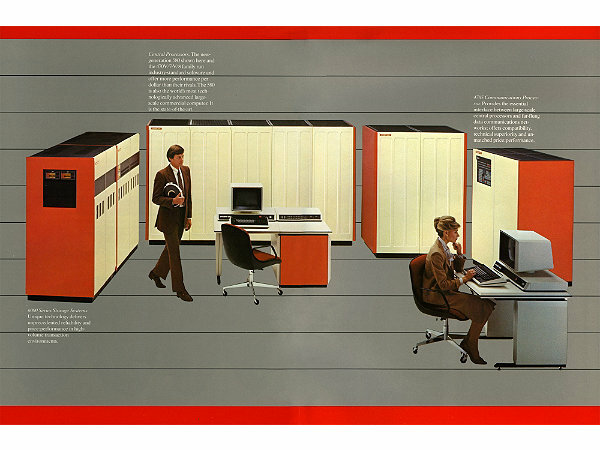 For my younger readers, Amdahl was a maker of IBM-compatible mainframe computers. Hardly the most likely place to find cutting-edge web software! Much to my surprise, what we found at Amdahl was a decent HTML editor, still under development by a single contractor developer, David Koblas. It was a Motif-based program, written in C++, running on Solaris. In short, it was exactly what we were looking for – the right kind of code base, far enough along in its development, that turning it into a robust SGI-native application just might be possible in weeks, not months. I don’t know all the details, but within days we had struck a deal with Amdahl that somehow brought us both the code and David. In a recent email exchange, David recalls that to avoid creating a taxable event, no physical media were involved in the transfer of the source code; the bits were passed from Amdahl to SGI via FTP. A small team was quickly assembled around David, including Ken Kershner (who managed the team), and Ashmeet Sidana, Baron Roberts, and Victor Riley. By then, I had locked in a launch date for the project: January 25, 1995. So this newly formed “WebMagic team” would have just under eight weeks to port to IRIX, integrate deeply with SGI’s desktop environment and media tools, and polish code that David now recalls as “quite buggy”. In addition, the team fully embraced an even more audacious goal – full “render compatibility” with the now dominant browser, Netscape Navigator. And what that meant was aiming at a moving target. The team at Netscape was extending the capabilities of the browser at a blistering pace. The WebMagic team wanted to support it all, including tables, forms, and, yes, even the blink tag. The heroic work of the team paid off. When we launched, WebMagic had become all that I and the team had hoped: a true WYSIWYG HTML editor with the polished look and feel of a word processor, drag-and-drop integration with SGI’s media toolkit, and pixel-perfect compatibility with Netscape Navigator. And that is the rather improbable story of the creation of the very first WYSIWYG HTML editor. This post is kind of a footnote to the story of “The Big Pitch to TJ and the Exec Team“. It’s the revelation of two key pieces of information that Ciemo and I did not know at the time, but that were very helpful in setting the stage for our pitch. The first piece of information was something that I would learn minutes after the pitch, and it was something that everyone in the room (but us) knew. Victorious in our Big Pitch, Ciemo and I exited the Board Room and returned to the waiting area, not because we had anything to wait for, but just to take a few minutes to let it all soak in. We had landed $2.5 million, but to keep our end of the bargain, we would have to create and launch a whole new product line in less than 76 days. And we’d have to do it in a period of time that would include Thanksgiving, Christmas, and New Year’s! It wasn’t until almost three years later, in a lengthy and depressing BusinessWeek cover story entitled “The Sad Saga of Silicon Graphics,” that I would learn the other key piece of information we didn’t know. As it turns out, TJ was more than a little bit familiar with what we were pitching him; in fact, just a few months earlier, Jim Clark had been wooing him to take on the CEO role at Netscape! And that means he would have had quite a bit of knowledge about the Web’s rapid growth, its potential as a server market, and the degree to which the company at the center of the action was leveraging SGI boxes for development and serving. 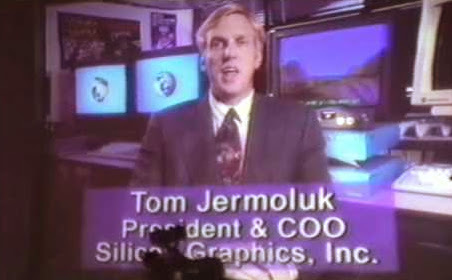 The Internet’s singular potential should have been more obvious to Jermoluk than to anyone. 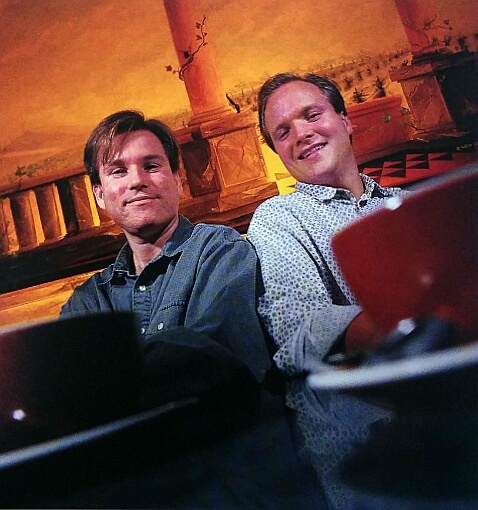 In late summer, 1994, Clark had offered him the CEO spot at Netscape. But McCracken didn’t want to lose Jermoluk, least of all to Clark. So to keep him, SGI offered the young president a new compensation package valued at $10 million-plus over four years. He stayed1. In Silicon Valley, more than any other place, it is often said that “timing is everything”. And certainly it is now clear that our timing could not have been better for that historic pitch. Speaking of timing; did I mention that we now had 76 or fewer days until launch? 1But he would not stay the full four years. In fact, he would resign in less than 18 months to become the Chairman, CEO, and President of @Home. The big day was finally here. I’d made it down from the city ahead of the rush hour, and arrived at SGI well before the start of the exec team meeting. I headed down to the Building 6, where the execs had their offices, and found the Board Room. Meeting me there was David Ciemiewicz, a.k.a. “Ciemo,” an engineer as passionate about the web as I was, who had in recent weeks gone from being a friend and occasional technical advisor to becoming essentially the technical co-founder for the new business we hoped to get green-lit. And this morning, he would also be handling an important, if not glamorous task — hitting Page Down to advance the slides of the Showcase presentation, so I could focus on speaking. The Board Room was enormous and brightly lit, with a long table running most of its length. Ciemo went about getting the presentation on the Indy, while I stashed my props in the belly of the lectern at the head of the table. After a quick run-through of the deck, we exited the room and camped out in small waiting area outside. We’d end up being there for a while, as our presentation wasn’t scheduled until after the weekly conference call with country managers. Soon, the execs started showing up for the meeting. Though almost none of them recognized me (and vice versa), most of them knew Ciemo, who had been at the company for eight years, so there were a lot of smiles, greetings, and small talk as they headed in. I was on the lookout for one of the few execs that I actually did know, our division’s GM, Tom Furlong. You see, I hadn’t had a chance to let him know about my last-minute addition to the presentation. By the time Tom arrived, the Board Room was more than half full, as the meeting was only a few minutes away. “All set?” he asked. He headed into the Board Room, leaving us to ponder whether he thought I was smart or crazy. After all the execs made it in, the doors closed, and the long wait began. The country manager call took something like 30 minutes, but it felt like an eternity. Finally, the door opened, and Ciemo and I entered a room that now looked dramatically different. What had been bright, empty, and roomy, was now mostly dark and jam packed with people. The long table was full, with five execs on each side and another two on the end. And the back of the room was crowded with another dozen or so folks, including each division’s director of marketing. Ciemo got the presentation up on the big screen, and I took my place at the lectern, which was now in the only brightly lit part of the room. A few small lights above the table provided just enough illumination for me to see the faces of the execs. Everything else, including all the folks at the back of the room, was in near total darkness. After introducing myself, I started with a slide introducing the World Wide Web, illustrated with example web pages. I should probably point out that I did not have a script or notes, and that this was a true SGI-quality presentation, which is to say that there were no words on the slides other than titles. But my pitch flowed like water that morning 20 years ago, as I was delivering a narrative I felt deep in my bones. “Can I see that?” asked TJ. Attention quickly shifted, first to TJ, then back to the box in my hands. I leaned forward and handed it to the exec seated closest to me on the left. It was quickly passed along to TJ. The room was silent as he slowly examined all sides of the box. “Why don’t we make something like this?” he asked, looking around the table, and then handing the box not back toward me, but to the exec to his left. For the next couple minutes, each VP repeated the little ritual of accepting the box, examining it carefully, then handing it to the guy to his left. As the box made its way around the room, I returned to my pitch, shifting over to the web server market. Here, I would have emphasized the central role of Netscape (the company having just renamed itself the prior week), and the incredible good fortune of having our recently departed founder, Jim Clark, at the helm there; and them using Indys as their development environment and as the server hosting the downloads of the browser. It was a hot new server market being born on our platform; we just needed to license their server software and bundle it. My pitch would go on to show how we were already had a warm welcome from the market, with prominent sites already “Powered by Silicon Graphics,” including HotWired and the Internet Underground Music Archive (IUMA)3. And then came the final slide, entitled “To Become The Market Leader”. This was the one I added the prior evening, and did not look like any other slide in the deck. Instead of one main image and no words, it was really just a spreadsheet with pretty small font. It detailed what I thought we should spend money on to create and launch the product line — and how much incremental revenue I projected we would deliver in the first two quarters. I wasn’t sure what detail to go into in my pitch, but at some point TJ stopped me, having absorbed the level of detail he wanted. All eyes were now on me. It was pretty clear that the right answer was “Yes.” But a few things prevented me from speaking. First, I had never been in a conversation about quarterly “outlooks”. Second, since I didn’t personally have one hanging over my head, I wasn’t sure what it would mean for me to modify one over someone else’s head. With the extended silence starting to get awkward, my boss, Jim White, stepped forward from the darkness of the back of the room into the dim light near the table’s end. “That’s right,” he said. TJ turned in his chair, and all eyes followed. “We will take up our outlook for Q3 and Q4,” said Jim. 3Our second website sponsorship deal. This one only cost us one Indy, I believe, and was done out of Corporate Marketing’s budget. It could be said, as I prepared for my big exec team presentation, that I didn’t quite know what I was getting myself into. You see, I was pretty green – in more ways than one. I’d been at SGI less than a year, and aside from a summer internship at Tandem, this was my first job in Silicon Valley, my first job in tech. Heck, it was even my first job in the for-profit sector! And unlike all the other product manager types at SGI, I did not have an engineering background, so I was essentially learning Computer Science on the job. Oh, and although I was 32 at the time, I looked way younger. And now I was stepping forward, asking to be put in charge of an effort to launch the company into the web authoring and web serving markets with a whole new product line that would span multiple divisions. The people I was about to present to, on the other hand, were leaders of the hottest company in Silicon Valley, and they were all incredibly technical, with real depth in domains like 3D graphics, chip design, systems architecture, networking, and so on. In attendance would be the GMs of four hardware divisions and two software divisions, a VP of manufacturing, as well as other execs (finance, legal, and marketing, I think). Running the meeting would be Tom “TJ” Jermoluk, the hotshot technical leader who had rocketed up from engineer to President and COO in less than eight years. In other words, I probably should have been more than a little nervous. (And it might have been a good idea to do some homework on my audience.) Instead, I stayed calm, cool, and keenly focused on building up an SGI-quality presentation. Fortunately, my colleagues on the Indy marketing team had my back. For example, on Monday, two days before my presentation, Sanford Russell, who had done the Hotwired site sponsorship deal that planted our flag in the web market, asked me, “Have you ever presented to TJ before?” I didn’t realize it at the time, but in hindsight, he surely already knew the answer. I thanked him and ran off to look at my draft presentation through a whole new lens. To find a second prop, I pondered how I could make more tangible the new product line I was proposing to create. And so I headed over to Manufacturing. On foot. (Yes, we were not manufacturing in China.) I walked across the driveway of our office park in Mountain View (the same one that today is headquarters for LinkedIn), and entered Building 1, where our workstations were assembled and packed for shipping. Within minutes something caught my eye. Indy had a very distinctive bright turquoise shell. But sitting on a shelf a bit to the side of the assembly line was something that looked just like an Indy shell, but it was pitch black. I asked what it was for and was told that it was for the Indys sent to Tandem via our OEM partnership. Now, I had two props, but I also had a new puzzle. To make the proposed product line truly tangible, I’d need something more that a distinctive black shell. Suddenly it was clear that I was missing something vitally important to the pitch – a name for the product line! By Tuesday evening, I was ready. My presentation was done, and I had my props. My plan was for a quick dinner, a few hours of rehearsing, then heading home at a decent hour for a good night of sleep. My presentation was at 9:00am. Suddenly, I wasn’t hungry any more. This evening would no longer be about rehearsing and going to bed early. Now, I had one more slide to create: the business case for a multi-million dollar investment request. 1For those who know how the story unfolds, this interim name is no doubt a surprise. It was Friday evening, and my big break was now just five days away. By Wednesday morning, I needed to be ready to present my Big Idea in front of the company’s COO, Tom “TJ” Jermoluk, and the exec staff. And I didn’t have even a first draft of a presentation! Oh, and did I mention that it was 1994? I didn’t have access to PowerPoint; and there were only a few thousand websites total (so not a lot digital images available online). Fortunately, my boss, Jim White, was a master of creating SGI-quality presentations, and he had recently shared his secrets with me. While the specific tactics will strike the modern reader as charmingly antiquated, the strategy behind them is as relevant today and remains at the core of my communications toolkit. 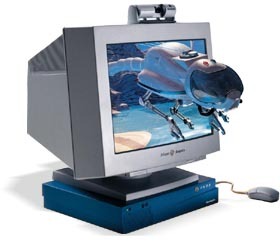 Before I share the system with you, I should explain that by “SGI-quality presentation” we would have meant a digital slide deck as boldly visual and differentiated as our smoking hot, colorful, media-monster 3D workstations. Don’t think about what will go on your title slide or the headline of slide number one. In fact, don’t worry at all about sequence when you’re just getting started. Instead, just focus on the key concepts that you need to convey in order to get your audience to believe what you want them to believe. Write each concept on its own sheet of paper. Now, it’s time to think about order. Use a long table or an open area of floor space to layout the sheets of paper. Start re-arranging them and keep at it until you have an end-to-end flow that feels right. Once you know your narrative arc, it’s time to find an awesome image to illustrate each key concept. This image will fill most, if not all, of the slide. In fact, each slide will be nothing more than a big image, a one-line headline, and, perhaps, a sub-head or caption; no bullets. This was truly a “visual computing” approach to making a slide deck. Yes, a box filled with National Geographics, Times, Newsweeks, and so on. Once you know your storyline, just start flipping through your stash of magazines. Keep an eye out for high-impact images that make you smile or laugh. When you find one, see if you can logically tie it to any of your key concepts. If so, yank out the page and set it aside. With your stack of eye-popping, emotionally-charged photos, head on over to the scanner and turn them into digital files. If I recall correctly, this took a while and was kind of a pain. I think the files ended up on a network drive, and we had to use Unix commands to find and move the files over to our own workstations. Nonetheless, the process worked, providing high-quality color images that looked great even when projected on a large screen. Although PowerPoint had been around since the late ’80’s, we did not have access to it for two inter-related reasons. First, it ran only on PCs and Macs, not Unix systems. Second, SGI had gotten rid of all PCs an Macs; the company ran its entire business only on SGI hardware. And so, if you were going to make an SGI-quality presentation, you were going to make it with our very own, SGI-made presentation tool, “Showcase”. I have to say, these old screenshots still look pretty damn good! But for all of Showcase’s strengths, it was also more than a little bit buggy, and prone to freezing or crashing in the middle of editing. Frequent saving was a critical part of any successful project. For all of these reasons, marketers at SGI often lovingly referred to this vital tool as “Slowcase”. 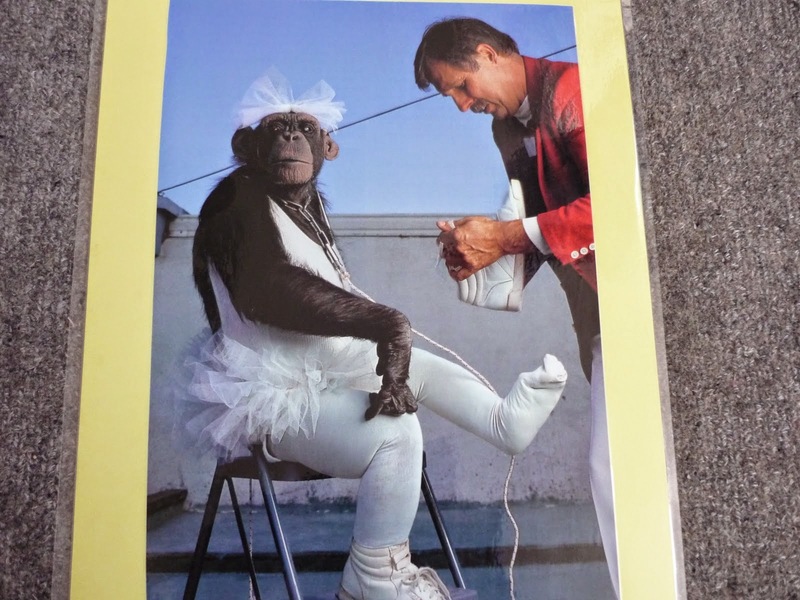 So, that’s how SGI-quality presentations got made 20 years ago — and a taste of what I was in for over the weekend and into the early part of the coming week. It was the month of November 1994, and my mission was clear: create and launch the first hardware + software web product line, putting Silicon Graphics (SGI) into the leadership position of a market about to explode. Based on what I learned in Chicago, I believed that if we launched by end of January, we had a very good chance of beating key rivals Sun and Apple to market with solutions for the most valuable “picks and shovels” segments: web authoring and web serving. To get there, I had a two-part plan, focused on forging internal parternships with two other divisions within the company. The first part was to partner with NSD (Networked Systems Division), a business unit that had been formed within the last year to expand the company’s footprint beyond 3D workstations into the market for high-performance servers. 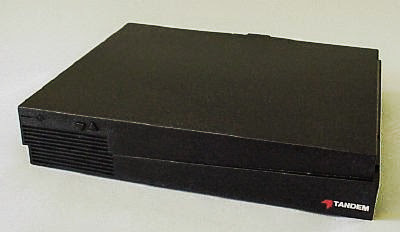 If our two divisions worked together, we could create a product line with the Indy workstation as one entry point (a multimedia monster for both web authoring and web serving) and the Challenge S as the other entry point (NSD’s Indy-based entry-level offering, an ideal web server). The rest of the Challenge server line (see image below) would provide a path for massive scalability. The second part was to partner with one of our two software divisions to create an awesome, SGI-native, graphics- and media-centric, drag-and-drop, “WYSIWYG1” web authoring tool that we could bundle with our workstations. Since it was more than a little ambitious to dream of creating such a tool in less than three months, I started with the authoring software. My first stop was Silicon Studio, a division recently formed to create authoring software for interactive content. Heading up product management there was none other than Scott Bonham, who had hired me into the company and then given me a big break by moving and an allowing me to become his backfill. Despite my clarity, conviction, and passion, nothing I said could convince him that the web should be anything other than a secondary focus for Silicon Studio. Their plate was already full, working on an authoring system for video games. Oh, well. 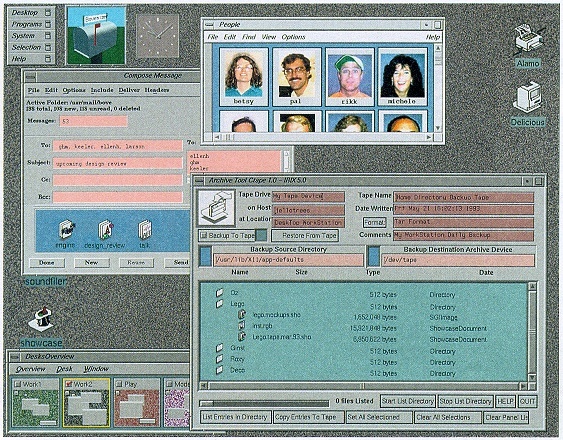 At least I had one other software division I could partner with, VMD (Visual Magic Division), the group responsible for SGI’s “Indigo Magic” desktop environment (see image below) and a bunch of cool software tools highlighting unique capabilities of our systems. They even had a team focused on publishing. But conversations there fared no better. My logical champion to take on the project was dismissive of HTML, seeing it as an inferior derivative of SGML2. He would happily lead an effort to build an SGML editor. I thanked him, but suggested the web was unlikely to switch to SGML, even if we built the best damn SGML authoring system in the world! 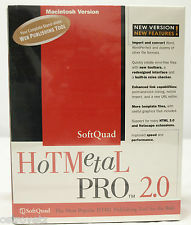 Suddenly, SoftQuad’s HotMeTaL Pro3 started to look much better to me, despite its unlovable interface. I set to work negotiating the terms of a deal to get it ported to IRIX, so that we could bundle it with the workstation part of the web product line I planned to launch in January. I hoped I’d fare better with the server division. After all, the plan there required no software development, just a simple bundling of existing hardware units with third-party web server software (to be licensed from Mosaic Communications). 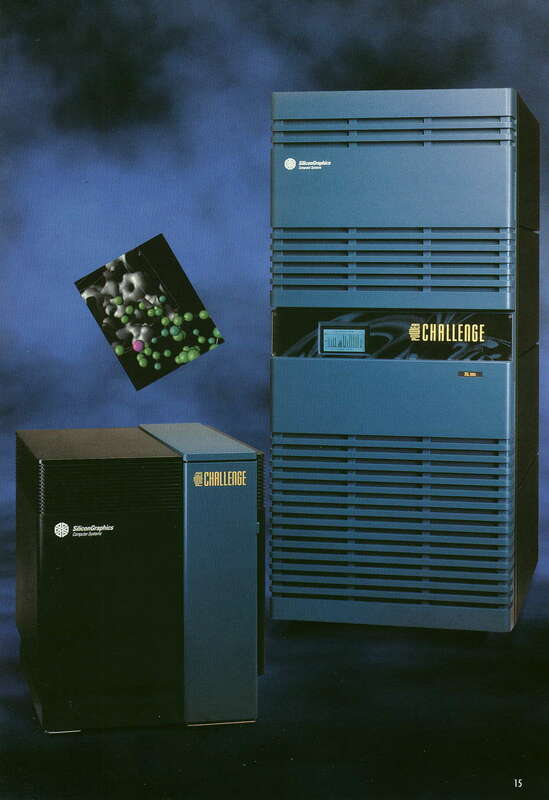 SGI would be first to market with a “turnkey web server” for very little effort. Lenny Rosenthal, who headed up marketing for NSD, was conflicted. He saw the great potential of the market, but knew that convincing his boss, Ross Bott, the GM of the division, would not be easy. He arranged a meeting on a Thursday afternoon for us to make the case. Ross was a seasoned hardware exec, very technical, and methodical. I, on the other hand, was inexperienced, learning Computer Science on the job, and given to a passion that might be called “evangelical”. The meeting clearly did not go well, but no decision was made on the spot. The next day, however, Lenny told me that NSD would not be jumping with me into the web server market. Instead, they would stay focused on the market for high-scale database servers. My bold plan could survive without homegrown web authoring software. But trying to make SGI the leader in the web server market without the participation of our server division? That was laughable. Our first-to-market web product line was dead in the water. And that was simply not acceptable. The light bulb went off. It hadn’t occurred to me that such an option existed. But as soon as he said it, I realized that there was a pathway forward, if I could grab full leadership of a company-wide effort. “I’m in,” I said. “I need to be knighted,” I said. Tom smiled, and without missing a beat, pretended to pick up a sword. “You are hereby knighted,” he said, dropping the virtual blade to my shoulder. I nodded and quickly left, eager to start working on what might be the most important presentation of my Silicon Valley career. 2“Standard General Markup Language,” the father of HTML. 3The first commercial HTML editor, which I had encountered weeks before. An interesting challenge faced by the pioneers of digital advertising was that few (if any) of HotWired’s first 12 clients actually had a website ready to direct consumer traffic to! So what happened if people clicked on one of these puppies? And click they did! Reports vary, but on the first days of the site going live, the click-through rate on the banners was as high as 78%, (though within weeks or months they would drop to 2%1). The answer: they went to a branded microsite, hosted on HotWired.com. That way, HotWired could assure a smooth user experience. Those microsites were built by Organic Online, the very first digital ad agency, which was in the same building in South Park as the HotWired team. But it wasn’t ad-free. 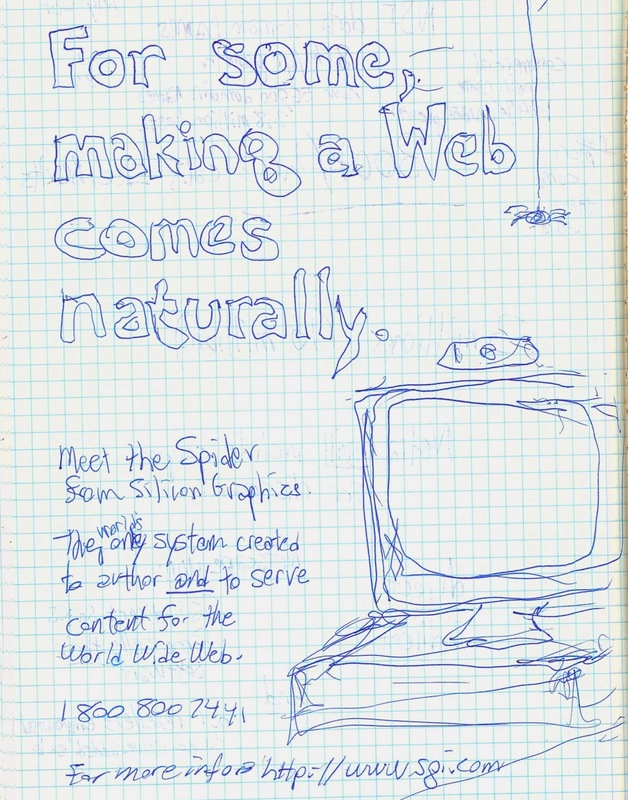 Though not captured by this old screen-grab (credit: web UX pioneer Jakob Nielsen), there was a very prominent ad unit at bottom of the page, right in the center, which made it clear that this site was running on the sexiest computer hardware around — Silicon Graphics (SGI). My fondest and most vivid memory is what happened between when the ink on the deal dried and when HotWired launched, a period in which we needed to figure out what we wanted the sponsorship ad unit to look like or say. I called a brainstorm session with Sanford, Pat Tickle, and a few other Indy marketing colleagues. A bunch of ideas went up on the white board, but I came up with the winner. Actually, in truth, I stole the winning idea from a different domain of SGI marketing. A few months earlier, I had attended my first SIGGRAPH, down in Orlando, Florida. In that era, SGI was so dominant that our relationship to SIGGRAPH was almost like Apple’s relationship with MacWorld. Our “booth” was freakin’ enormous, so big, in fact, that it bore the name “Silicon City” on signage towering over its four huge entrances. Below that, it said “Powered by Silicon Graphics”. And that was the magic phrase I was searching for! Once that bubbled up in my mind, I was sure we had the winner. The brainstorm ended as soon as I spoke it aloud. So, there you have it — the previously untold story of the web’s other first ad unit. The “Powered by Silicon Graphics” campaign with HotWired was a big hit, giving us instant cachet and credibility in the nascent web server market (even before we had agreed upon a strategy). In the months that followed, we would do similar deals (although for considerably less hardware) with several other high profile websites, including the Internet Underground Music Archive, Organic Online, and Rolling Stone, creating the impression that we were the web server market leader even before we launched our web server product line. 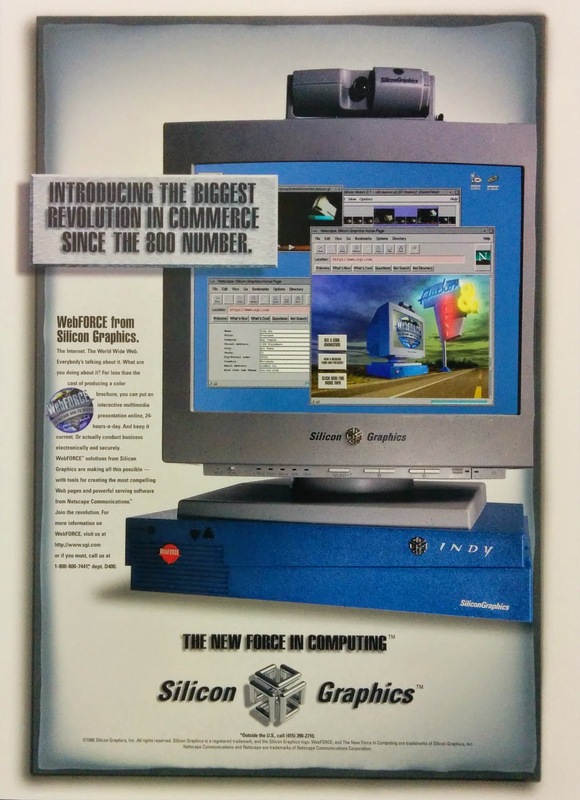 Within months, sites even started putting “Powered by Silicon Graphics” on their home page without us giving them anything at all! Eventually, the term “powered by” became the de facto standard for site sponsorship deals. But how all of that would come to be is a story best saved for a future post.